Have you ever asked yourself what is the right time to take time out of your business or when it’s the right time to hustle more or push more? 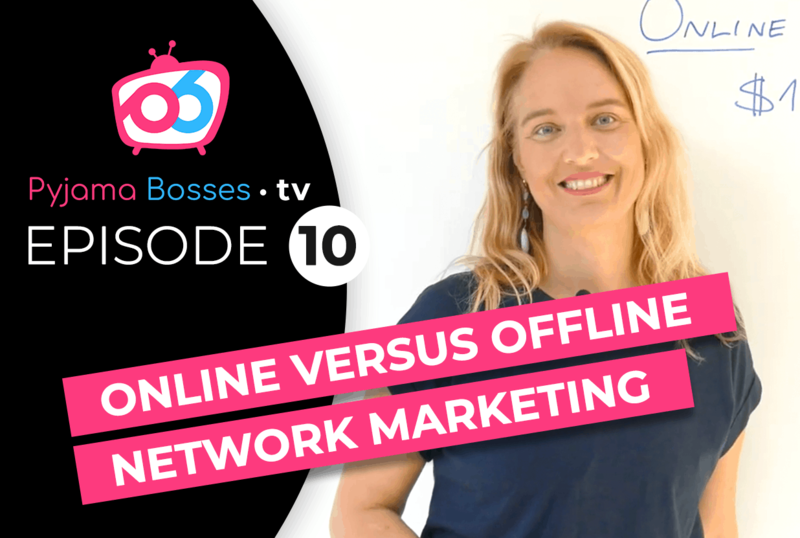 In today’s episode, we talk about when to hustle or zen and how to create a perfect balance in your life and your business to scale your network marketing income. Let’s get to it. Hey, Pyjama Bosses. This is Masa from the Pyjama Bosses headquarters, and I’m so excited for today’s episode. I see leaders often burnout out of exhaustion because they’re purely doing hustle, hustle, hustle. As much as I understand that even more, personally, I have been there more than once, and I’ve had to go through all sorts of hustling and actually burning out in my own business to be able to really understand how to create a perfect hustle and zen to be able to scale my income. Today’s episode, the main question we ask is what is the most sustainable way to scale your income? I’m going to go a little bit into the philosophy of how to create the balance so that you can actually run the marathon of going and scaling your income from zero to six figures, from six to seven figures, and from seven figures and beyond to multiple seven and eight figures a year. I’m really going to share some principles that I believe are really important as you’re levelling up and creating higher incomes to be able to continue to scale. Now, personally, I still remember a few years ago, seven or eight years ago, in our personal business, we were working so extremely hard and pushing 16 hours a day, seven days a week, travelling on the plane every weekend, speaking at different events in our business. It wasn’t a wonder that we literally both ended up in a hospital bed. As much as that episode was really traumatic and frustrating because, despite all the hustle, we weren’t achieving the level of income that we believed we deserved. That was one of the best things that happened to us because, from that day, we started asking better questions. Better questions in terms of what sort of systems do we need to support us in the business to be able to scale our income so that we can increase our income while we decrease the time that we’re working. That’s all to do with implementing team duplication systems, and how you can leverage systems to leverage your time and scaled income. But in today’s episode, I don’t want to speak so much about systems. I want to speak about a mindset approach to your business so that you can run the marathon of scaling your income from zero to six, seven, and beyond figures. So it’s really important that you understand that if we are to go for a long time and be able to continue to scale our income, we need to have an approach that will help you in different times. Now, I know in different times in our business, we’re more inclined to push, and different times we’re more inclined to step back and enjoy it and be more zen and balanced. Right. So how do we know when to do that? I want to share some experiences in how you can implement this in your business. of your life. If this is your internal thermostat, for example, in your income level. Let’s just consider your income level. If your internal thermostat for your income level, right now, is $100,000 a year, that means that you’re extremely comfortable at earning $100,000 a year, you have created all the skills to be able to create and maintain that income, and that is your comfort zone, so to speak. Now, the same kind of thermostat we have in many other areas in our life, but for the purpose of this video, I want to share about the income level and how we can scale that. What happens is that no matter what happens in our life, for example, your company runs a huge product promotion, and your income increase, let’s say, $20,000. It goes up. If we don’t scale that internal thermostat, if we don’t take this level, which is our comfort zone, and continue to level it up or continue to increase it, what will happen is that even though we’ve increased our income a little bit, it will come crashing down very, very quickly because we have not reset that thermostat. This is just as much as you can imagine, for example, setting a temperature in your room with a thermostat. Right? If it’s set to 20 degrees centigrade or 70 degrees Fahrenheit, wherever you’re listening from, you know when the thermostat is set at a certain temperature, if it heats up in the room because the sun is shining in, the thermostat will start cooling the room down. That’s what your internal thermostat is doing with your income. So whatever level of that income it is in your business right now, that’s probably your comfort zone. For you to consistently raise that income and be able to keep it. So let’s say, you’re going to go from 100,000 to then, let’s say, $200,000 in income, what you’re going to need to do is you need to, first, raise your thermostat, and then do the work to be able to increase the income. Only then can you keep it long term. Does that make sense? That [inaudible] straight out of Psycho-Cybernetics. I was thinking so much about how do we then if we want to increase our income. Right? We know we need to increase our thermostat. The question becomes how do we increase that thermostat? How do we increase that level of income or whatever in our area in our life we want to be increasing, how do we do that? What’s the process? How do we know what to do? It’s not always just about hustle. In fact, just in a minute, I will share the principle, and you will see that hustle can be really, really an amazing skill of putting your head down and going to work and actually accomplishing great things in a short amount of time, but if it can also be detrimental to you if you don’t know how to balance it out at the right time with taking time out for yourself and balancing it and being able to recharge yourself. can go into the zen state and just meditate and the law of attraction will give you, you know, will raise your income. Obviously not. So it’s always about doing work, but what I’m going to share with you is actually doing work in a strategic way so that you are actually able to go long term. Make sense? Let’s get to it. Let’s say that your internal thermostat, right now, is at $100,000 per year. Let’s say you’re a six-figure earner in network marketing and, right now, you want to be raising that thermostat to double of that. You want to actually double your income to $200,000 per year, or you want to go from six to seven figures, or you’re just starting out and your internal thermostat is at $5000 per year, and you want to go to $100,000. It doesn’t matter. Listen to the principle and then apply it in your own business. Okay? It’s quite interesting. We went through our burnout stage when we were working extremely hard and ended up in hospital, and then went back home and started to consider how we can get our energy back. I was thinking a lot about this principle of hustling and putting down our head and just pushing through challenges. As much as we have become really good at it, and I’m assuming that if you’re watching this, you’re a leader and you’re particularly good at going to work, working hard, and hustling. So I don’t think your challenge is [inaudible] hustle. Your challenge is knowing how to vary hustle and zen. Anyway. So when we went through our burnout stage, and we recovered our energy a little bit, our default setting, our default setting of our internal thermostat almost told us that to increase our income, we need to go back into hustle. But then for a second, we tried to consider it and think about, well, if we continue to do the same thing over and over, we’re ending up in the same place as we just ended up, which is burned out of exhaustion. So it’s really interesting. So we started to observe that. Then if I fast forward five years from then, we then had an amazing income already, we are leveraging an income. It was multiple five figures per week, $30-40,000 per week, and at that time in our life, we were living a pretty zen life. Because we had been pushing and hustling for so long, we tended to think that this is a time to enjoy, this is a time to just sit on the beach. You get the picture? And so, these different instances in our life depending what’s happening with our income in our business, actually the default setting may not be the right one for you to go ahead and increase this internal thermostat, which in term is going to allow you to increase your income long term. Does that make sense? gotta salvage this business.” That is correct to a certain extent, but I want to teach you the opposite. In fact, in any situation where times are tough, perhaps you’re getting into debt, perhaps your income is not increasing, it is so important that you put a focus around living a zen life. What that means is taking care of your state, making sure you’re turning up in a recharged and positive, optimistic state each and every single day. You want to put a focus around creating that for yourself. So make sure you put a focus around your health, around your emotional and mental state, and how you’re actually waking up and turning up every single day in your business. I wish that sometimes in our business when we were the most stressed of losing income or something really collapsing, we really focused around changing our state. Now, we’ve learned this lesson over and over over the years, and recently, over the last year or so, when we had this happen, we knew that we shouldn’t just go back into hustle when something is collapsing. We knew that we need to put a focus around zen and charging ourselves with positive and actually turning up in a great state and protecting our health and space and time. Now, I’m not saying go on vacation when your business is collapsing. I want to make that really clear. I want to make sure that you understand that, yes, you’re going to be disciplined around working, but you’re going to be more strategic. When you have the least things working around you, when your income is decreasing and shrinking, you want to put your focus around charging yourself back up. Working strategically in hustle, but putting your focus around zen. Does that make sense? Now, on the other hand, let’s just say you had a six months in your business where your income is just increasing exponentially, you’re enjoying yourself, you don’t even know where people are joining form in your business. The default setting in you, because you have worked for it so hard for so long, is just go on vacation, enjoy. This is where I say it’s, again, quite the opposite. When times are great, when things are easy, that’s when you want to go and put a focus around hustle because that’s when you are going to be able to exponentially increase the internal thermostat. If your income is increasing exponentially, guess what you need to do? You need to make sure your internal thermostat catches up and actually goes faster than what’s happening in real life. Otherwise, you’re not going to keep it long term. This is the time that you actually need to go back into hustle. This is the time that you double down. When times are the greatest, this is when you double down. You’re already going to be feeling excited, enthusiastic, recharged because of how things are in your business, and how your income is increasing, so double down on hustle. I’m not saying do not enjoy. I’m saying this is the time, if you want to continue to raise your income, you double down on hustle. No matter where you are in your business right now, if you’re at $1000 a month, $10,000 a month, $50,000 a month, or $100,000 a month, if you want to double that, you need to increase your internal income thermostat first. So to be able to do that, identify whether you’re in a time where things are tough and focus on the zen, or if times are really easy, then you go back and focus into hustle. You need to vary these two things. There’s never going to be five-year period where you just focus more on one or the other. It is about varying that degree and be able to raise your internal thermostat continuously so that you are actually doing it in advance of your actual income catching up to that. Your internal thermostat always needs to be ahead of what your income’s actually showing on the bank account. Does that make sense? Real importantly, you know, now, think about where am I at in my business? Are things really tough? Have I been really struggling in my business? Have I been struggling with my income? Am I really in debt? Instead of just putting your focus around 16 hours a day, now, if you’re not actually working, you need to work. We are not teaching law of attraction. Just meditate and things will appear. If things are tough, you still need to do the work. You still need to work, but you need to work a little more strategically, giving yourself time to recharge, and actually work on your state being the optimum to give you the results. I see leaders way too often burn out continuously, and I see them working in their companies 5, 10, 15, 20 years, and continuously in a state of burnout. So I want to really caution you against that because if you really want to scale your income, apart from doing all the real strategic things on building a team duplication system, knowing how to build leadership, knowing how to build events that build momentum, those things are important, but in here, our mindset, our preparation, knowing how to focus, and how to raise our internal income thermostat is going to be super important as you scale your income. Right now, do a little exercise. On a scale of 1 to 10, are you, right now, in a situation in your income where it’s rapidly increasing or are you, in a scale 1 to 10, in a situation where it’s either decreasing and shrinking or just plateauing and not moving? On a scale of 1 to 10. And then, based on that number, put a focus around these two and ask yourself how you’re going to work more strategically, how you’re going to be actually putting to work the hustle and the zen? Because these two are the ones that will determine how you increase your internal thermostat, how you increase it in advance of increasing your actual income. want you and I appreciate it if you share it. Go below, right now, comment, and share this video with your team. Also, if you want more information like this, go and watch our free training on how you can actually scale your income by implementing team systems. So simply go to PyjamaBosses.com/freetraining and watch the training, right there. I’m so excited. I will see you again in the next episode of Pyjama Bosses TV. Meanwhile, I’m looking forward for you to increase your internal income thermostat, so we can increase your actual income. Until next time, guys, see you later.